Laguna Beach Lodge is located along the Pacific Coast Highway just a few minutes away from Main Street and downtown Laguna. Enjoy a leisurely stroll through the town and explore the various art galleries that Laguna Beach is known for. Satisfy your appetite and try one of the amazing fine dining restaurants, or enjoy a more casual bite and drink in one of the local pubs. 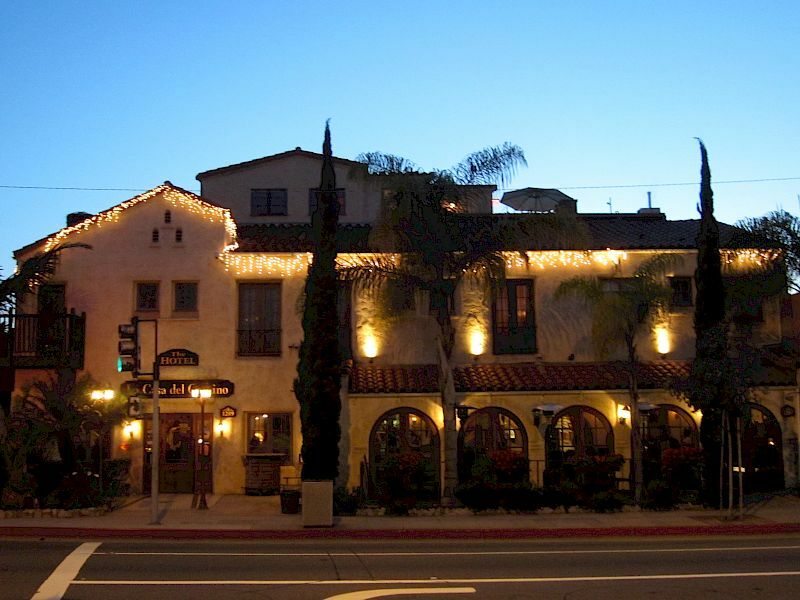 Laguna Beach offers a small-town feel with metropolitan-style nightlife. A 5 Minute Walk. Treasure Island Beach is a popular sandy beach in South Laguna Beach. Located less than a mile from Laguna Beach Lodge, Aliso Beach Park is a large sandy beach. K'ya Bistro Bar & Rooftop Lounge is located in the seaside, With an emphasis on sharing and small plates. A diverse menu with flavors from the Mediterranean. Set a stone’s throw from the beach. The bustling bistro has a lively San Francisco-esque atmosphere and The Rooftop Lounge offers a front row seat for a spectacular sunset. Laguna Beach is quickly becoming a culinary hotspot in Orange County. 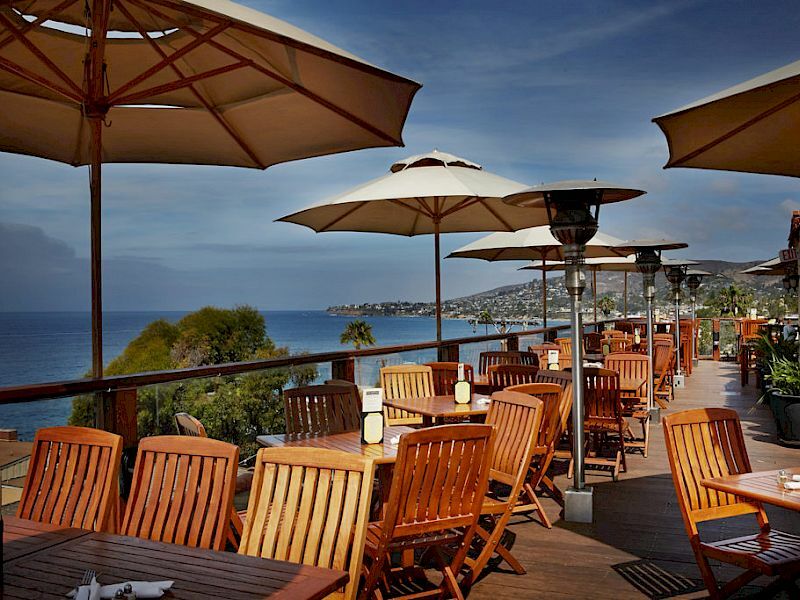 With more than 90 restaurants along an eight-mile span, Laguna Beach offers a world-tour of gourmet culinary fare. From restaurants with stunning views like K'ya Bistro Bar & Rooftop Lounge, The Cliff, Mozambique, to establishments with unique menus like Eva’s, Nick’s Laguna Beach, 230 Forest, Watermarc, and Café Zoolu, there’s certain to be a restaurant to satisfy any craving. Once the sun goes down is when Laguna Beach really heats up. Check out the rooftop bar at Skyloft. Party with the locals at the Sandpiper or the Marine Room, two classic American dives where the music is loud and the beer is cold. Grab a drink and watch the big game at Hennessey’s Tavern or Ocean Avenue Brewery, or kick it up a notch and check out the live music at the White House and Mozambique. Orange County offers 42 miles of world-famous beaches and the Laguna Beach Lodge puts you in the heart of them all. Grab a complimentary beach towel at the front desk and go for a short stroll across the street and down a wooded path to Treasure Island Beach, one of the most scenic beaches in Laguna Beach or drive over to Wood’s Cove Beach, which is considered one of the best-kept secrets in Orange County, for some peace and quiet. Other local beaches like Victoria Beach, Table Rock Beach, Shaw’s Cove, Salt Creek, and Crystal Cove Beach are all in our backyard, so go out and explore! Located along the Pacific Coast Highway, Laguna Beach is about halfway between Los Angeles and San Diego. Disneyland, Disney California Adventure and Knott’s Berry Farm are all within 45 minutes, while Universal Studios, San Diego Zoo, and SeaWorld are just about an hour away.